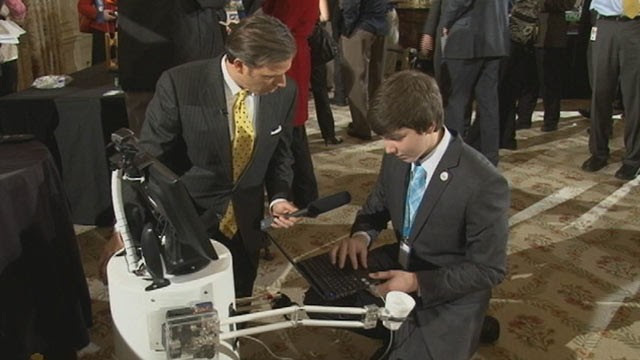 MAYA, an acronym for Me and You Anywhere, is a telepresence robot I designed when I was a freshman. MAYA was my answer to a problem I was facing: I wanted to visit my grandmother but I had two parents who worked full time and I couldn't drive. At a time when telepresence robots were almost exclusively over $15,000, I developed MAYA for only $500 by utilizing a Roomba as the base and a trashcan for the body. "Some of you are here because you saw a problem in your community, and you're trying to do something to solve it," President Obama said. "Benjamin Hylak -- where's Benjamin? There's Benjamin right here -- was worried that folks at his grandmother's senior center were getting lonely. 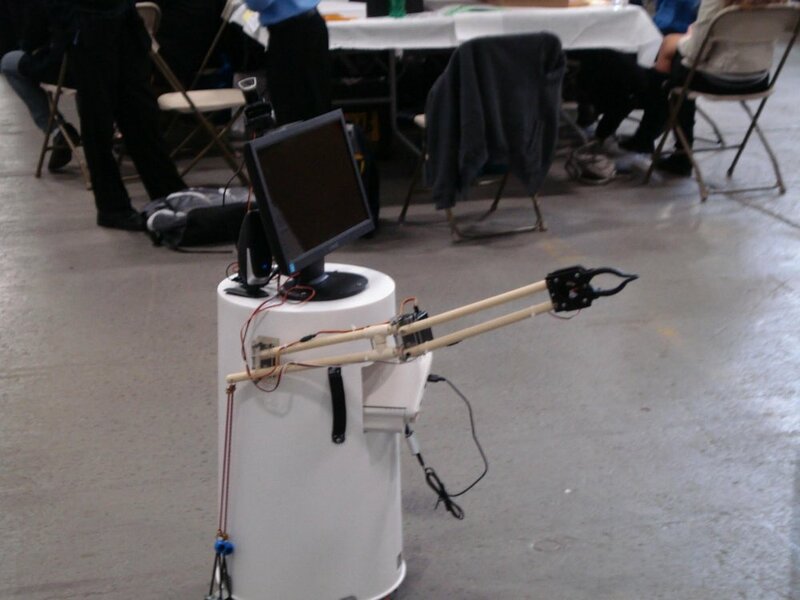 So he built a robot with a monitor and a video camera, so it's like a moving Skype. 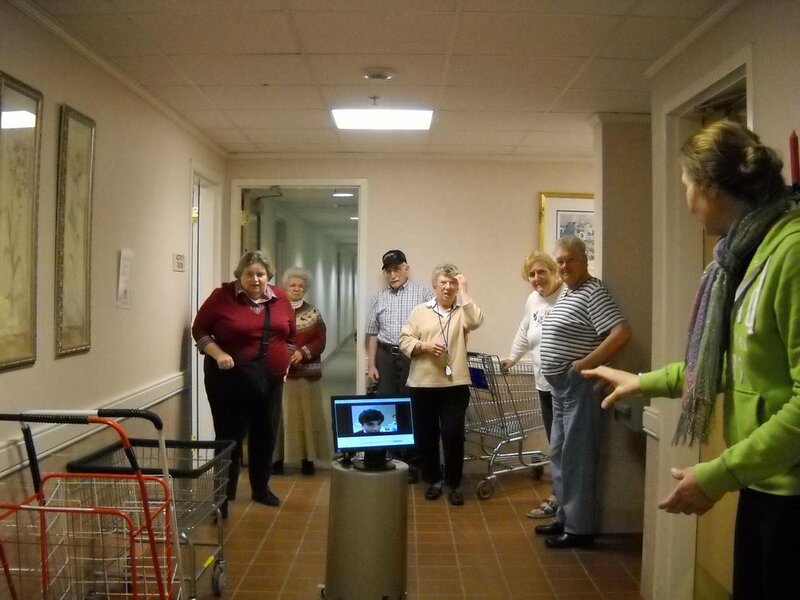 And it moves around the center, and it allows seniors to talk to their kids and their grandkids, even when they can't visit in person. So inventions like Benjamin's could make life better for millions of families."